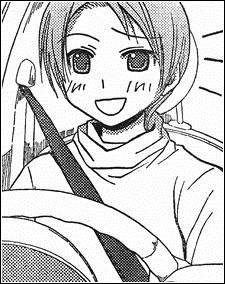 Nozomi Atarashi is a supporting character of the spin-off manga "Saki: Achiga-hen episode of side-A". She is the older sister of Ako Atarashi. Nozomi is an alumna of Achiga Girls' Academy and was a teammate of Harue Akado during Achiga's debut at the Inter High ten years prior.